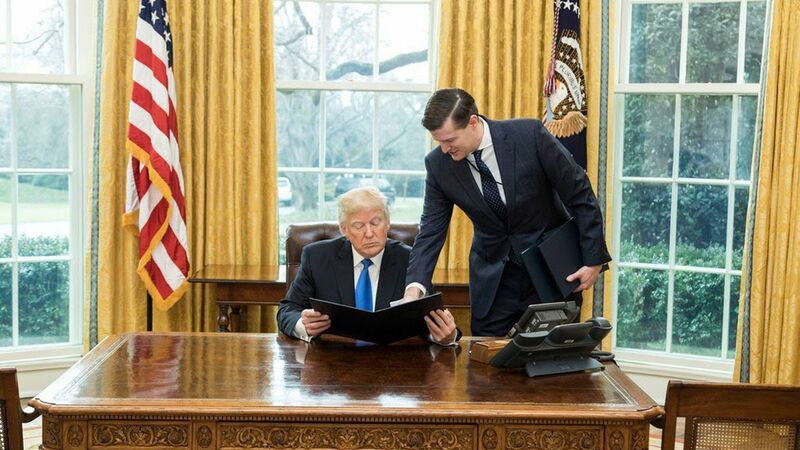 Business Insider's Allan Smith writes about Rob Porter "the White House staff secretary and assistant to the president for policy coordination." "He has been at the helm since the Trump administration's first day. He's tasked with vetting and filtering what reaches Trump's desk. And under new chief of staff John Kelly, his role has been reinforced." "Porter, a Rhodes scholar who attended Harvard with White House senior adviser Jared Kushner, was close with former chief of staff Reince Priebus from shared time at the Republican National Committee. He served in the offices of Republican Sens. Mike Lee, Rob Portman, and Orrin Hatch." Why he matters: "Porter finds himself as someone who can connect to the various factions and ideologies competing in the West Wing. He's managed to keep a low profile, stay above the fray, and avoid stepping into the squabbles in the administration's early months."